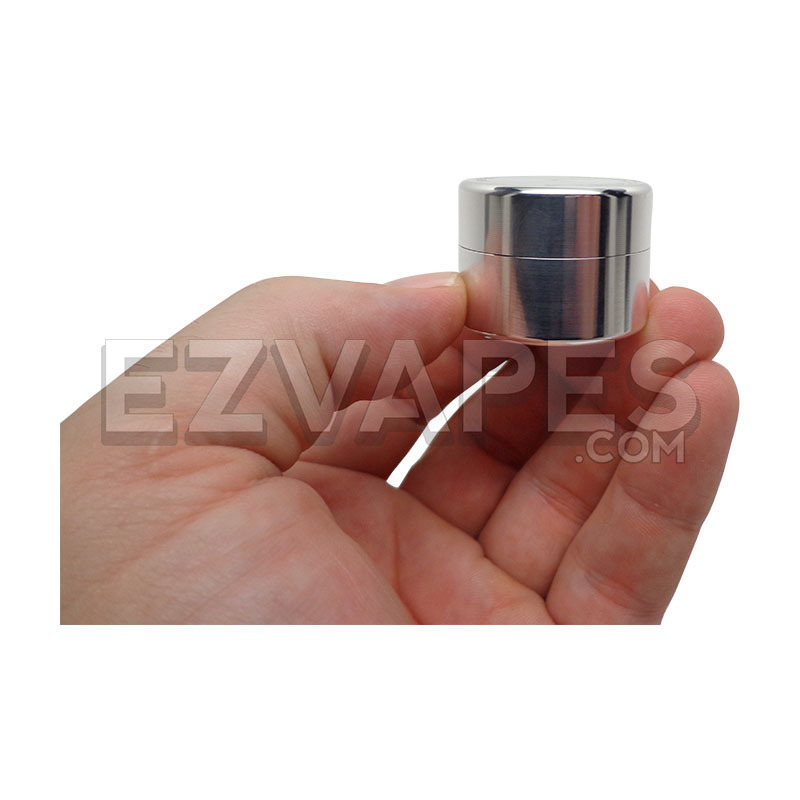 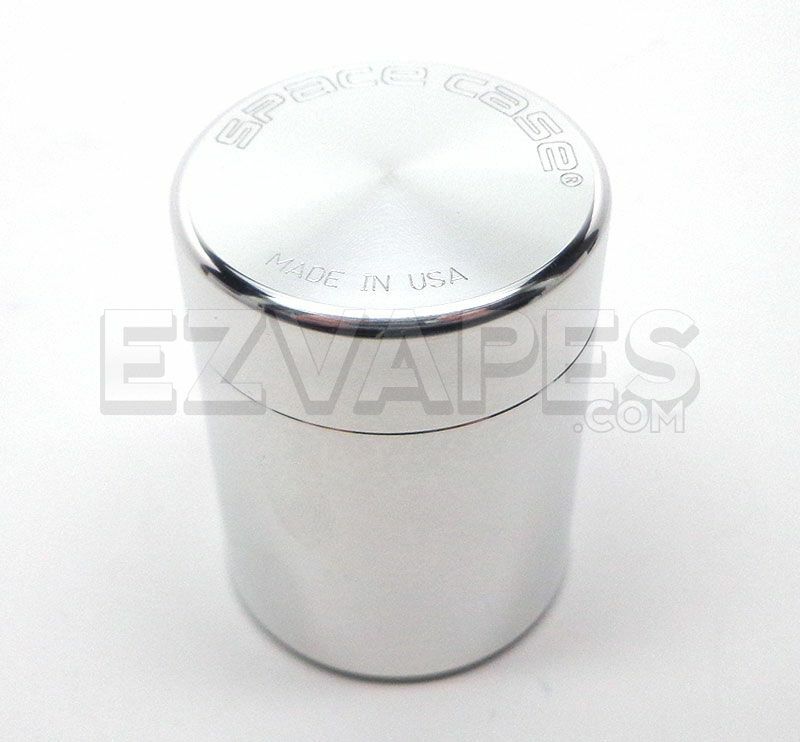 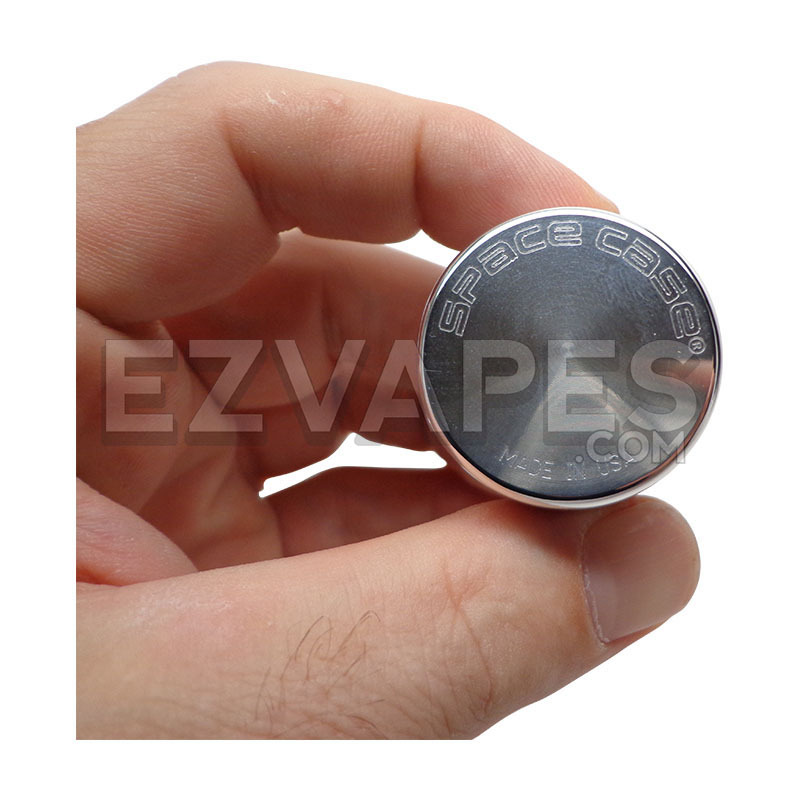 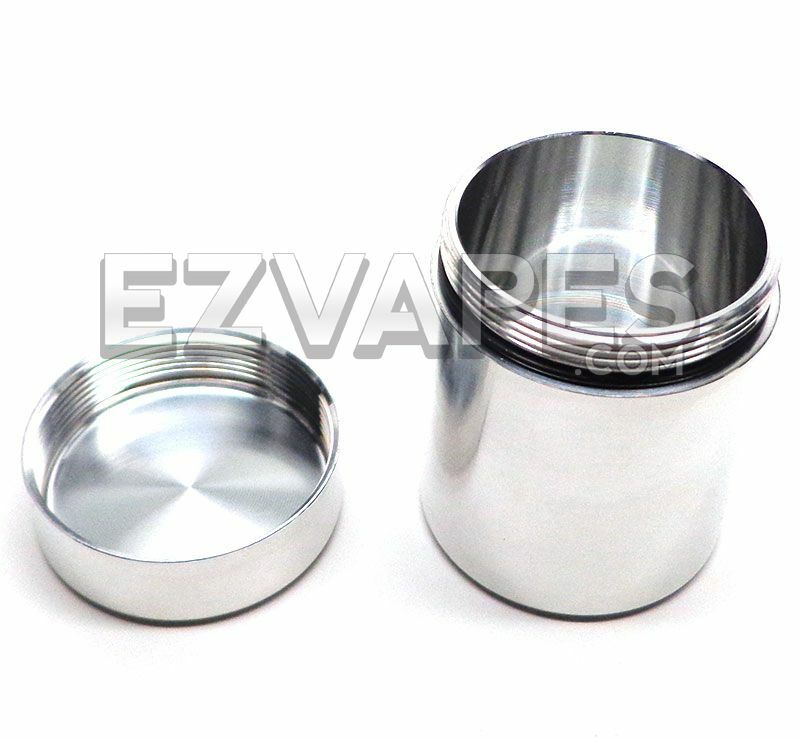 The small Space Case storage container is just 1 inch tall by about 1.25 inches wide and is the perfect travel friendly stasher for your material. 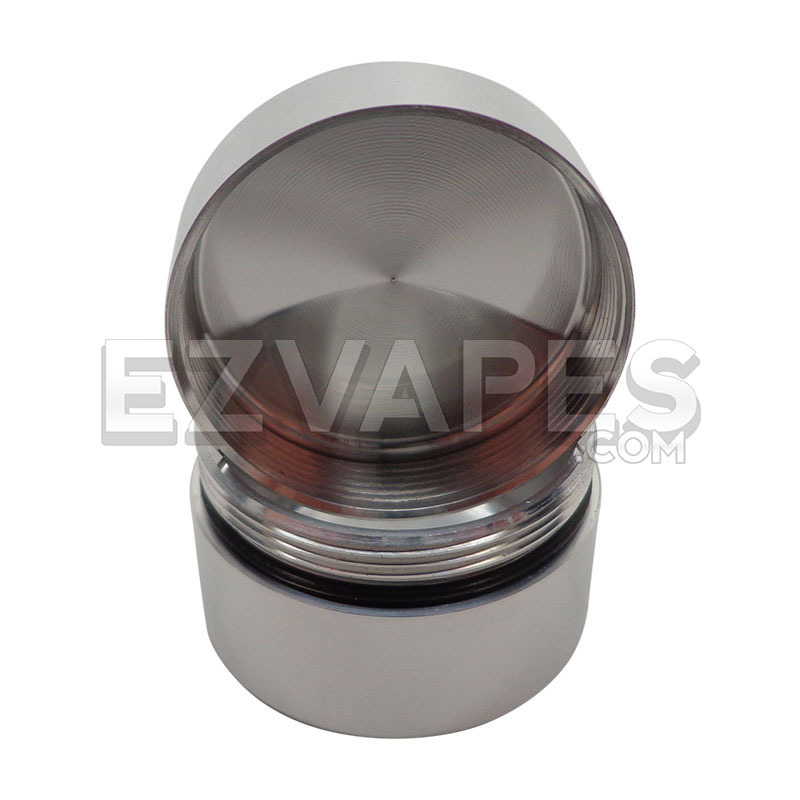 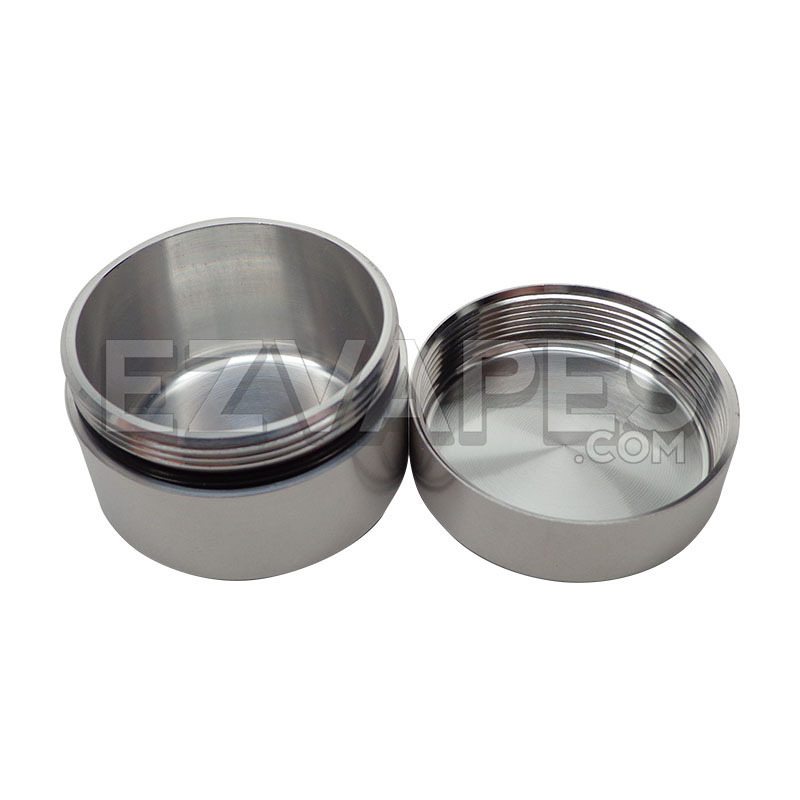 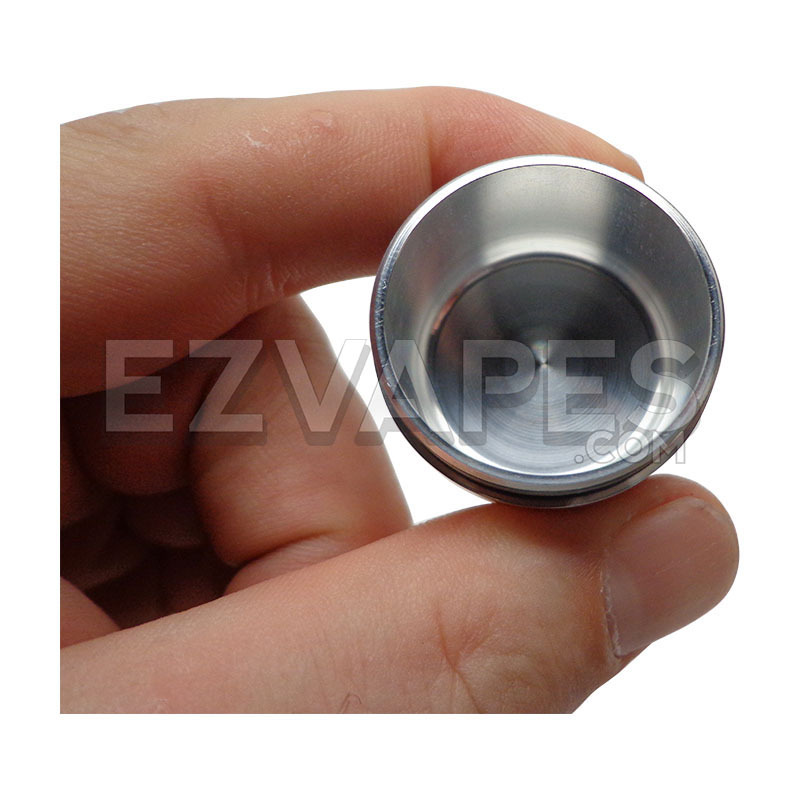 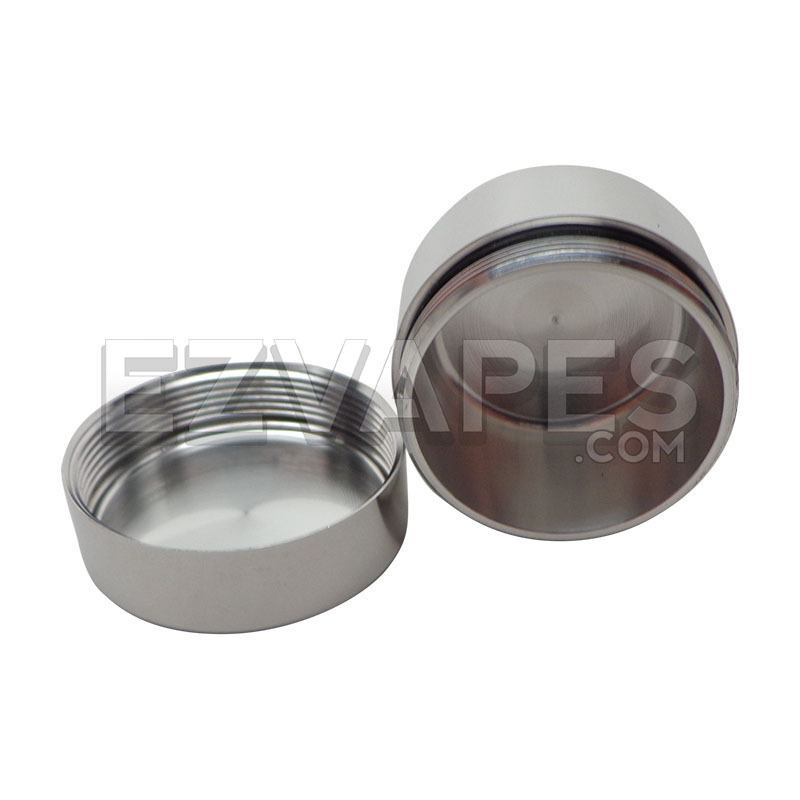 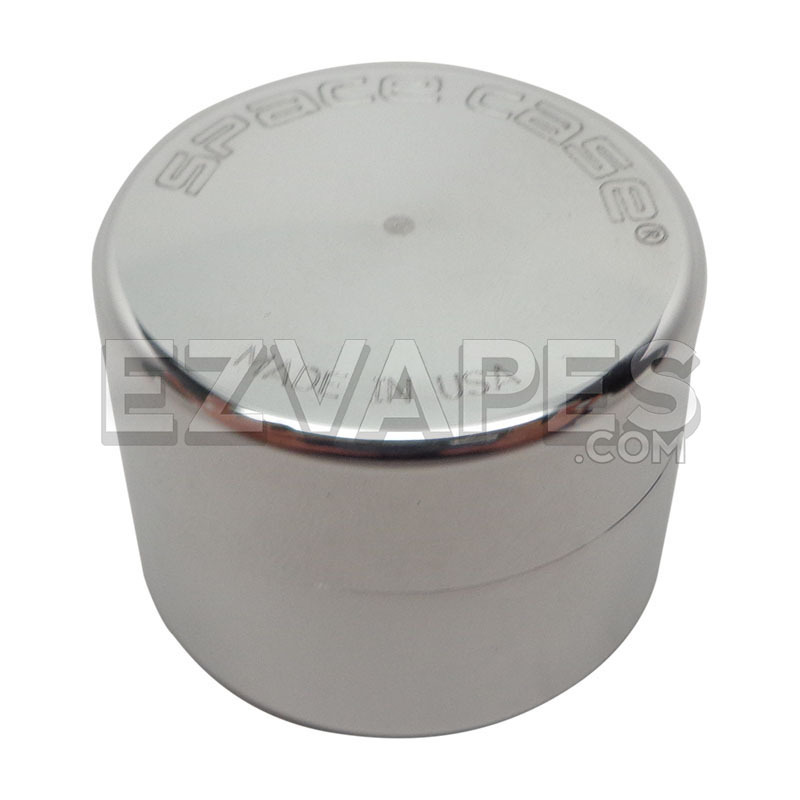 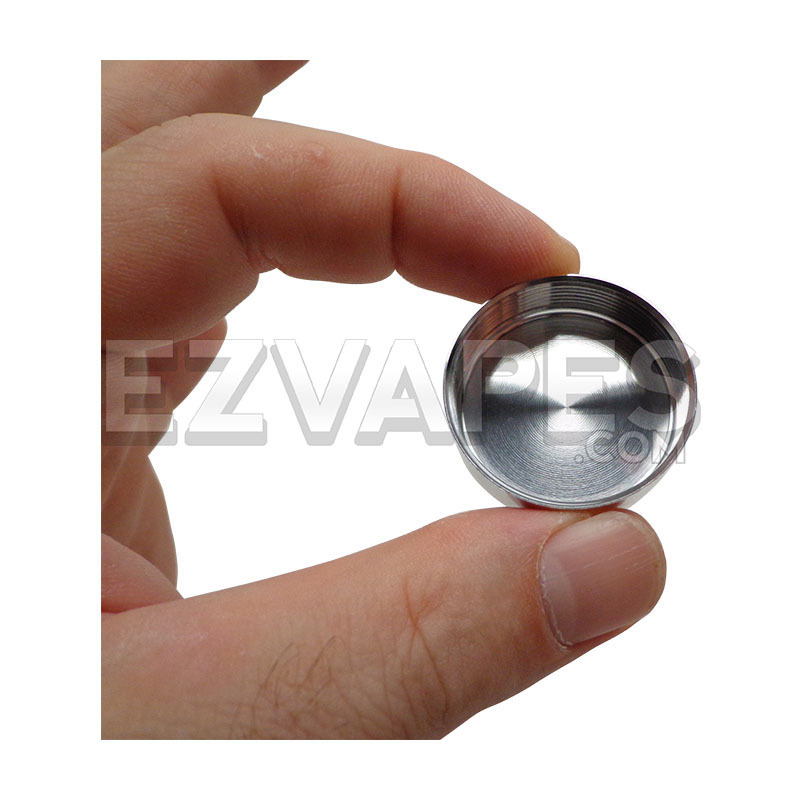 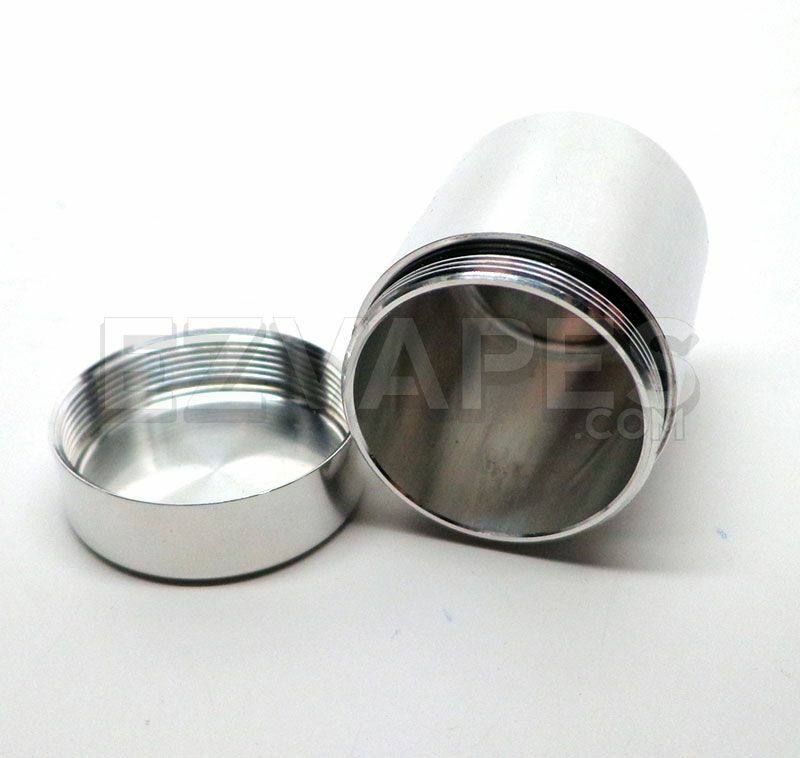 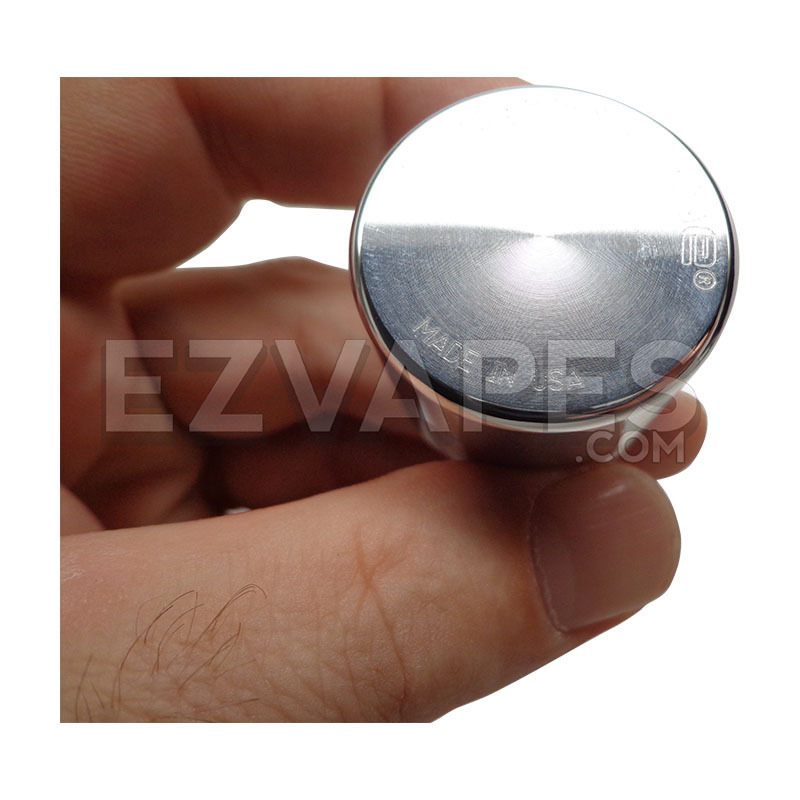 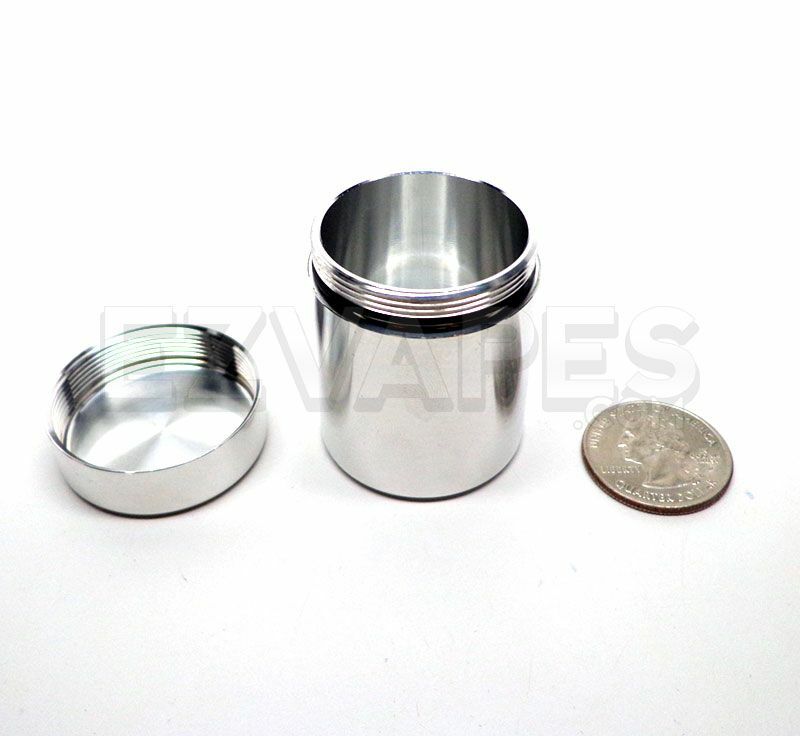 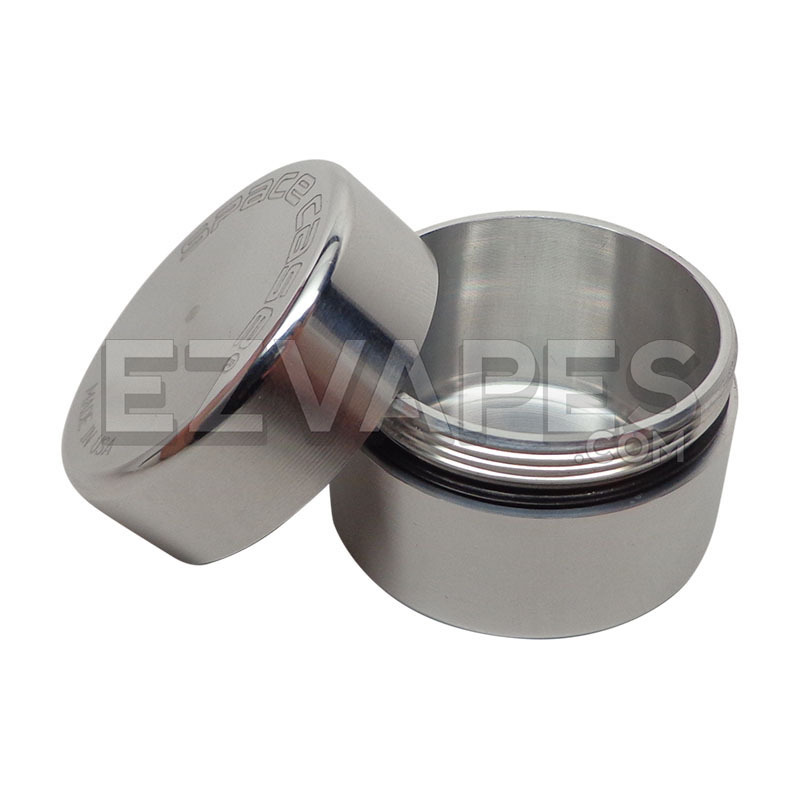 The 2 part storage container features machined threading for buttery smooth opening and closing and uses a thick rubber ring to create an airtight seal when closed. 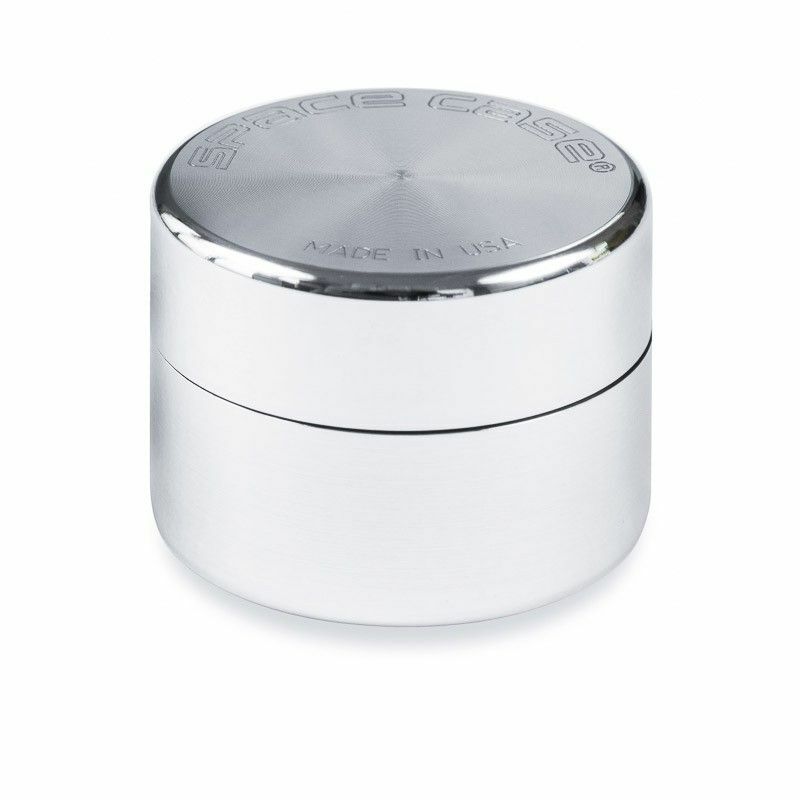 Like all Space Case products, this storage container is made in America and proudly displays the logo and made in USA etching on the lid.